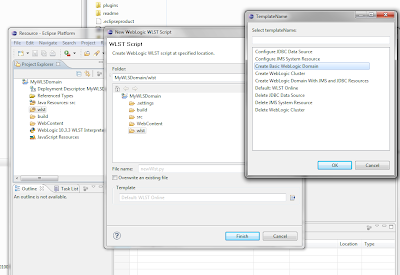 With the new OEPE 11.1.1.6 you can create and run all your WLST scripts from Eclipse. 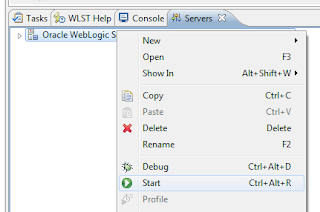 This blogpost will give you a WLST jumpstart in the Eclipse IDE. 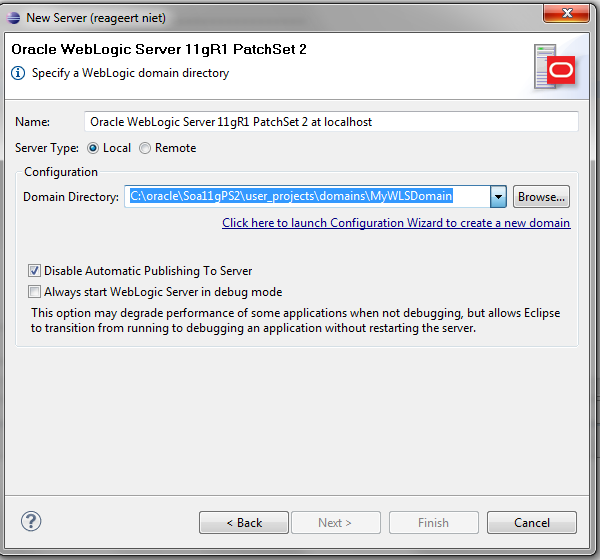 The WLST / Phyton support for the Eclipse IDE is one of the many new OEPE features. 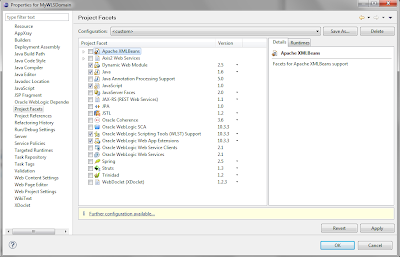 For more info read the Markus Eisele great blogpost about all the new and cool features of OEPE. 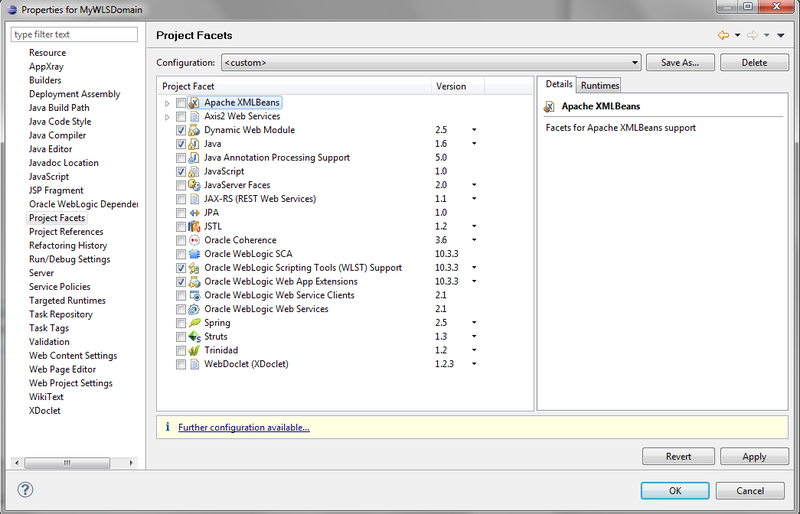 Start Eclipse and provide the workspace folder. 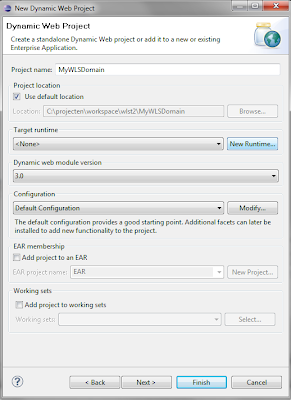 Provide the name of the Project and click on New Runtime. 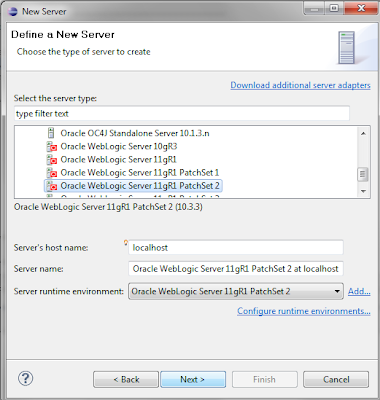 Browse to the WebLogic Home this is the wlserver_10.3 folder in the FMW Home. 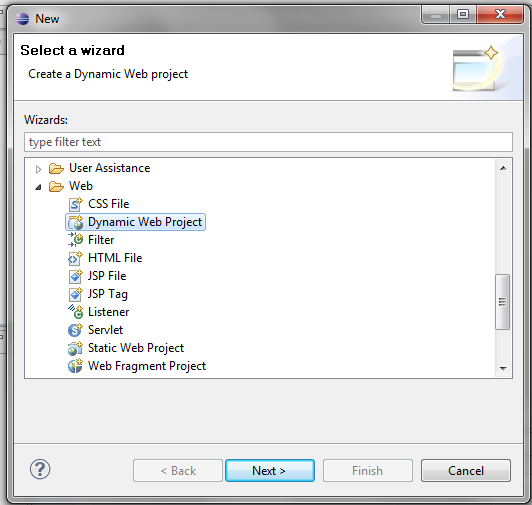 Select your just created web project and open the project options. 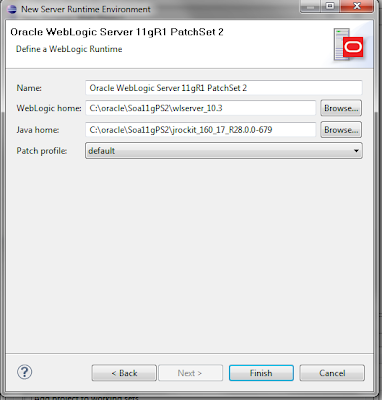 Go to the Project Facets and enable the Oracle WebLogic Scripting Tools support. 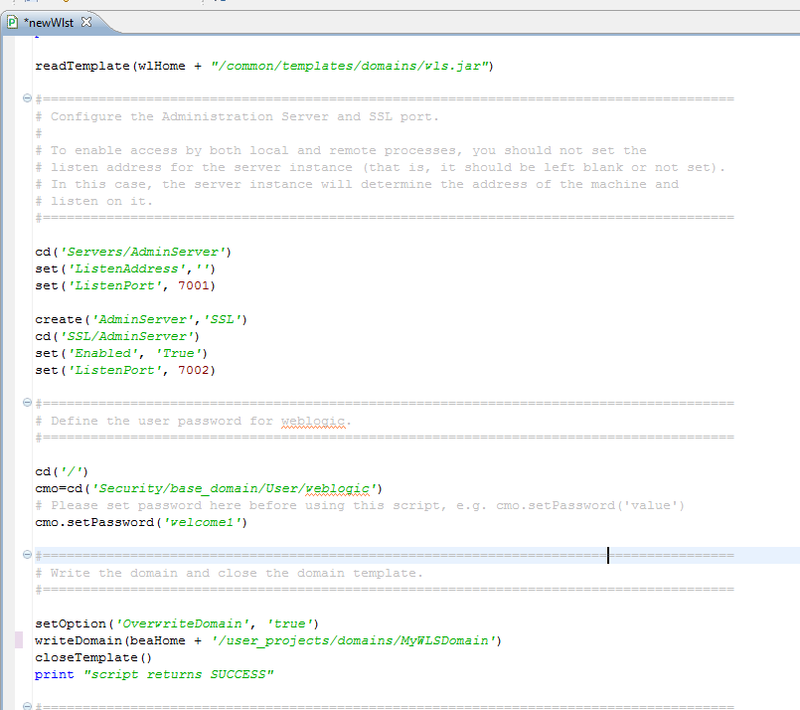 This enables the WLST scripting for this project. 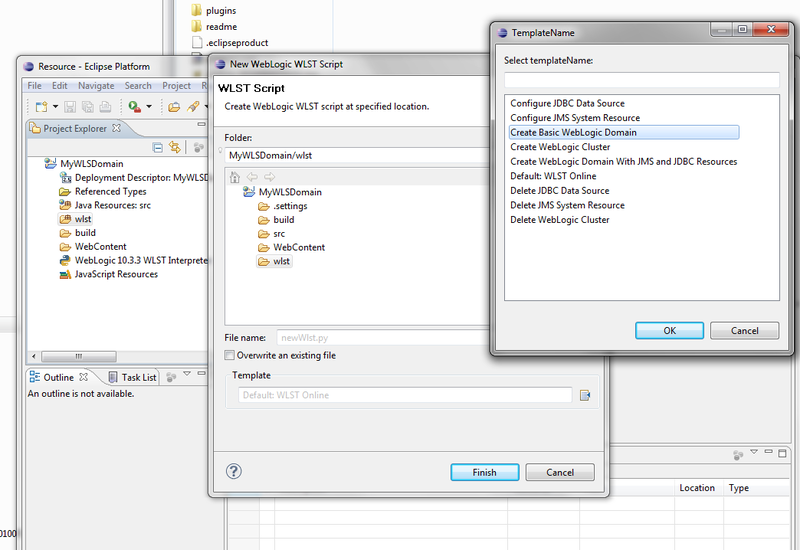 Select the wlst folder and create a new WLST Script. 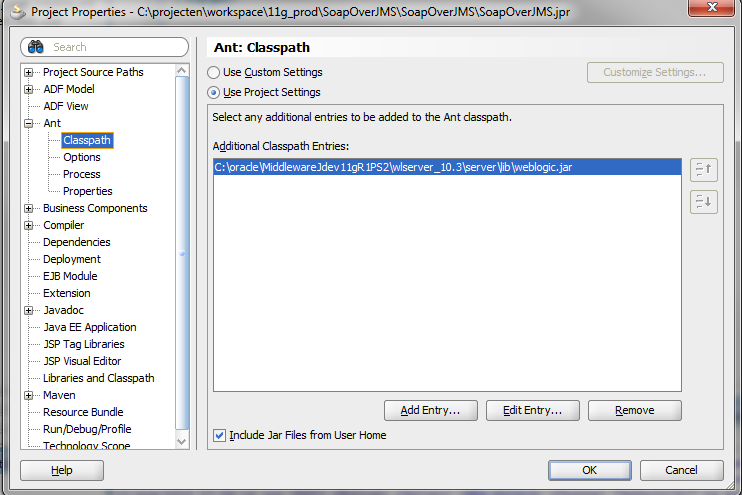 Choose for a default template or make a empty wlst file. In this case we will use "Create Basic WebLogic Domain"
This will always create a file called newWlst.py in the wlst folder. 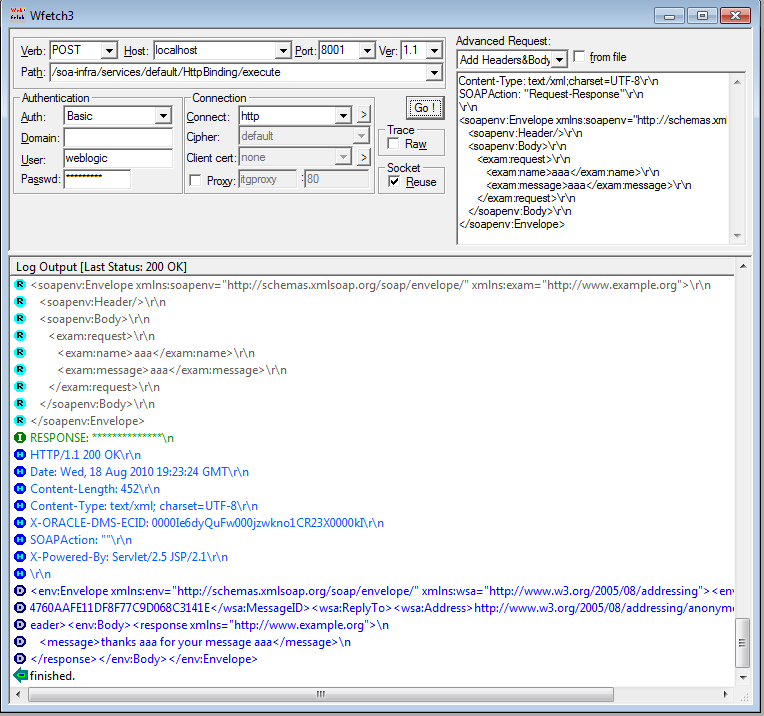 Rename this wlst file else it will be overwritten by a other WLST script creation. Select your Domain script and in Run As, choose for WLST Run. 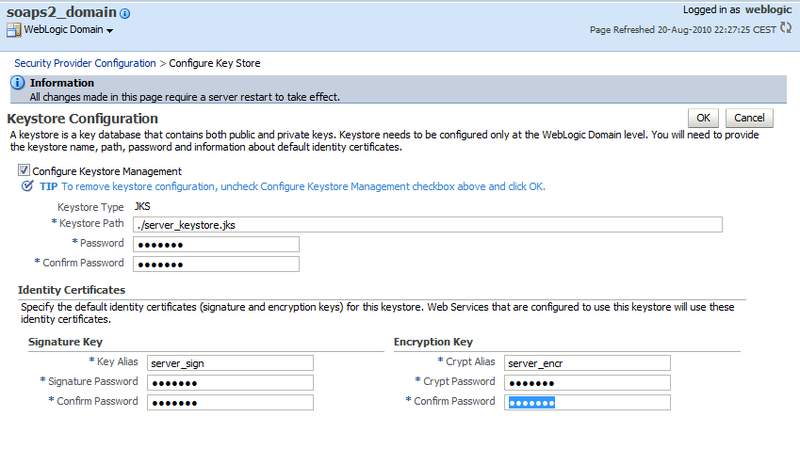 This will create the WebLogic Domain. 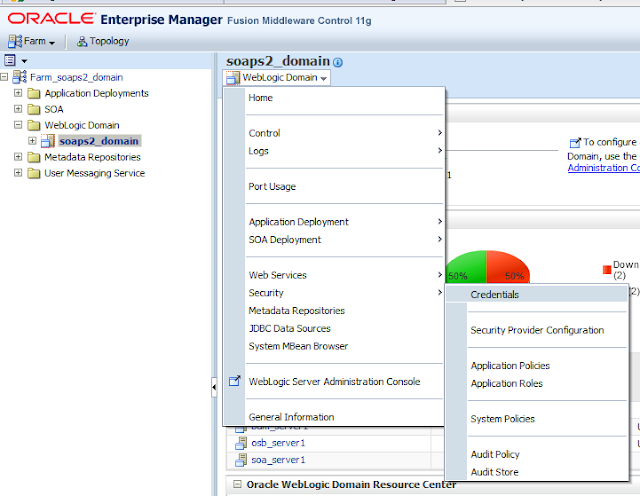 Next step is to start this WebLogic Domain. Select New and go to the Server node and click on Next. 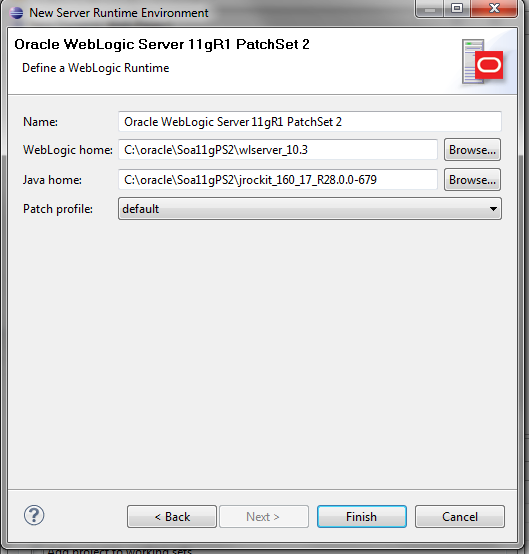 Choose for Oracle WebLogic Server 11gR1 PatchSet 2 in the Oracle node. 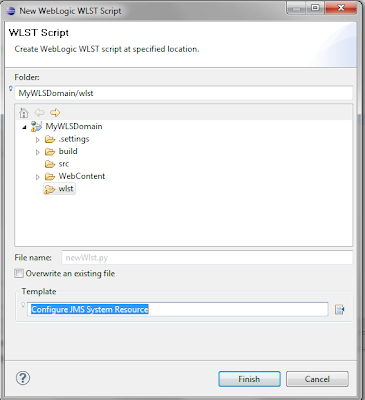 Browse to the new WLS Domain folder. 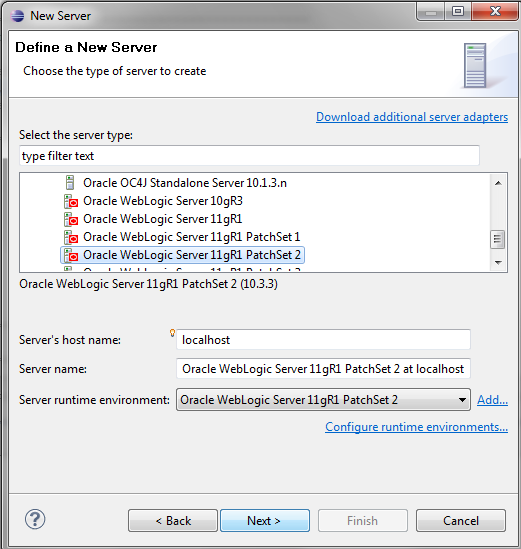 In the server window you can start this WebLogic server. 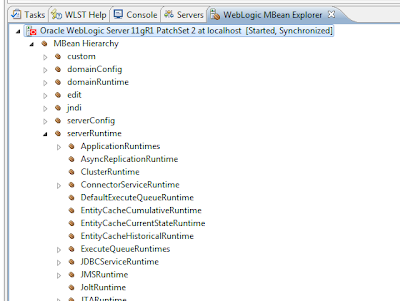 After the WebLogic is started, you can open the MBean Browser. 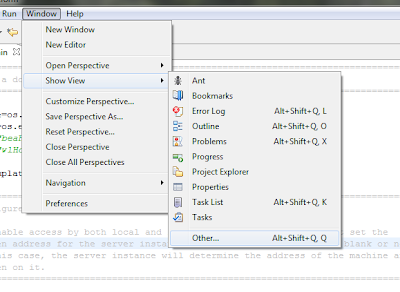 Go to the Window Menu , Show View and choose Other. Select WebLogic MBean Explorer in the WebLogic node. This will give you an overview of all the MBeans. 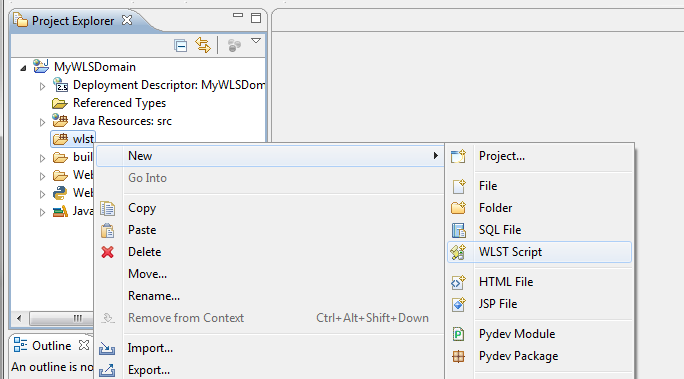 You can drag and drop a MBean to your WLST script. 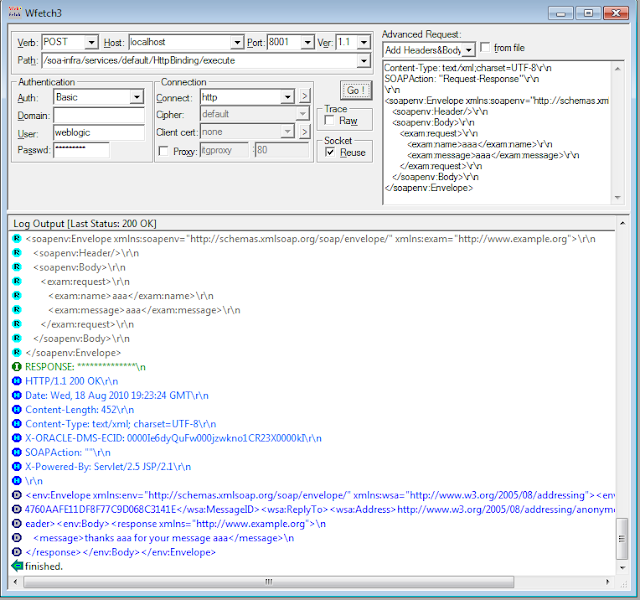 To this WLS Domain we can add some JMS messaging by creating a new WLST Script. Select the "Configure JMS System Resource" Template. 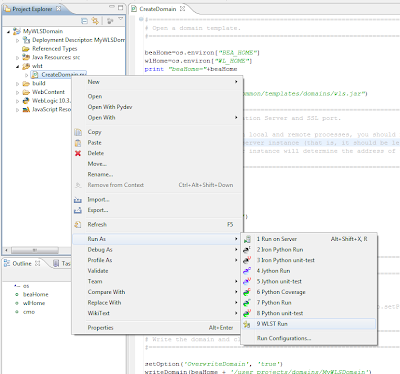 And when you run this script you will see the output in the console window. That's all for the jumpstart. 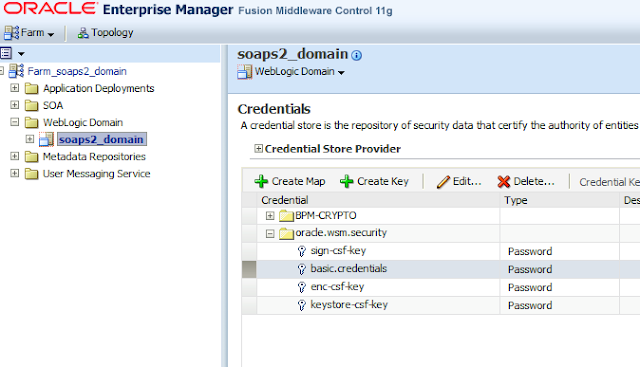 With WebLogic 10.3 you can also do SOAP over JMS instead of HTTP. 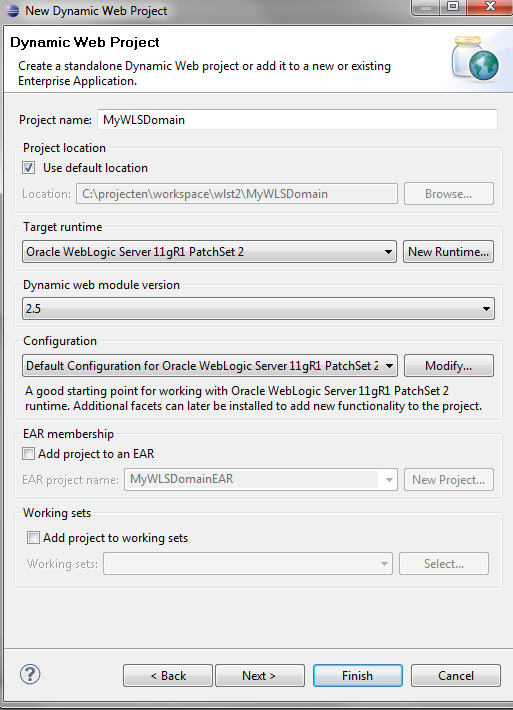 In this blogpost you will see how you can achieve this with WebLogic JMS and with JDeveloper as IDE. The JMS transport offers the following benefits: reliability, scalability, and quality of service but it does require slightly more overhead and programming complexity than HTTP. And you can't use JAX-WS, JAX-WS on WebLogic can't use any other protocol then HTTP, you need to use JAX-RPC instead. This leads to a second problem, JAX-RPC is not well supported in JDeveloper wizards so you need to use ANT. 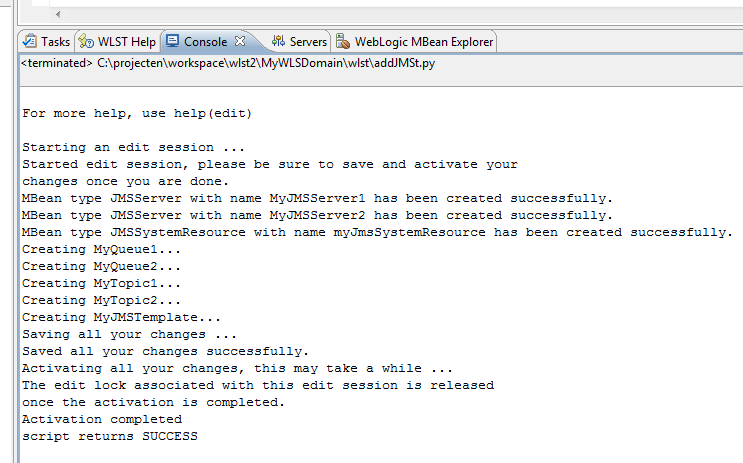 First step is to configure JMS. 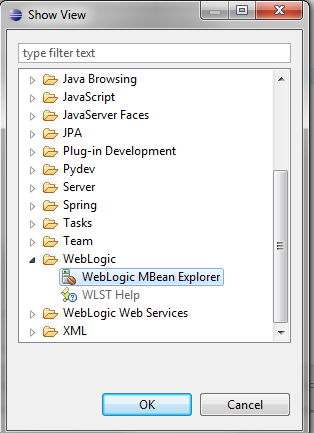 I will show you the steps on the Integrated WebLogic of JDeveloper. 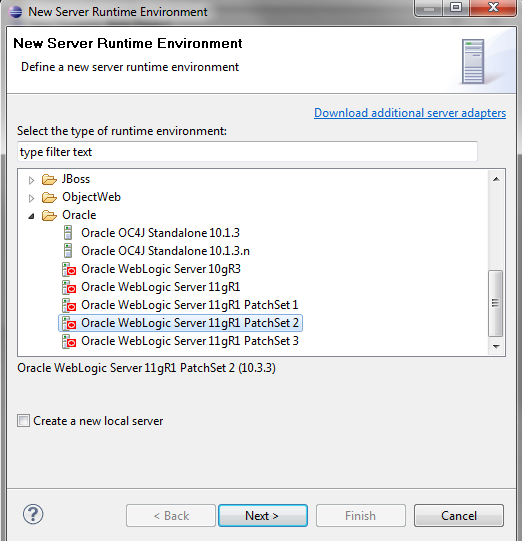 Create a persistent Store. You can use a normal FileStore and target this to the DefaultServer. 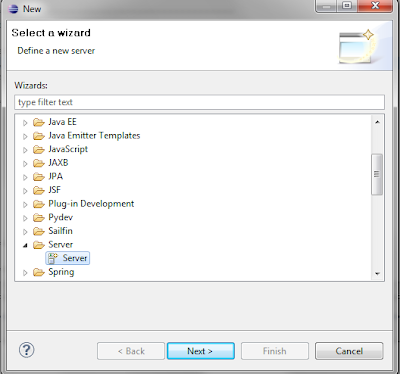 Create a JMS Server and use the FileStore and also target this to the DefaultServer. 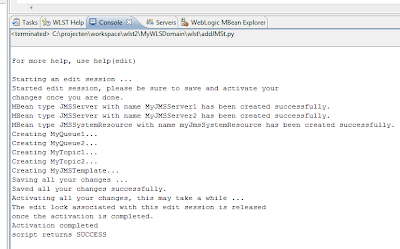 Create a JMS Module and target this to the DefaultServer. 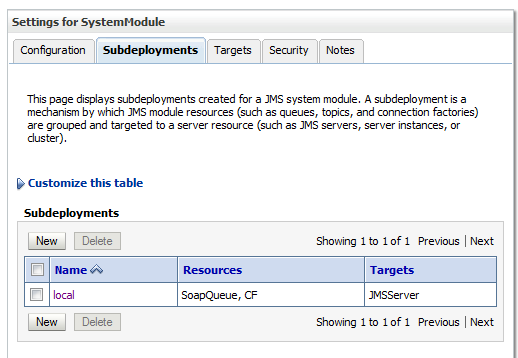 Create a Sub Deployment ( part of your JMS Module ) and target this to your JMSServer. Now you can create some resources for this JMS Module. You need to create a Connection Factory and use your Sub Deployment. 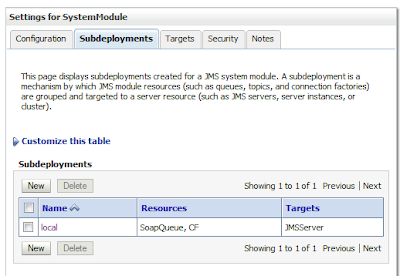 Create a JMS Queue and also use the same Sub Deployment. 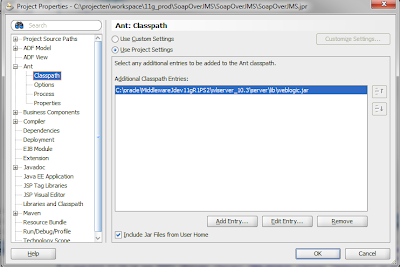 The JNDI Names are very important you need this in your JAX-RPC Web Service Class. 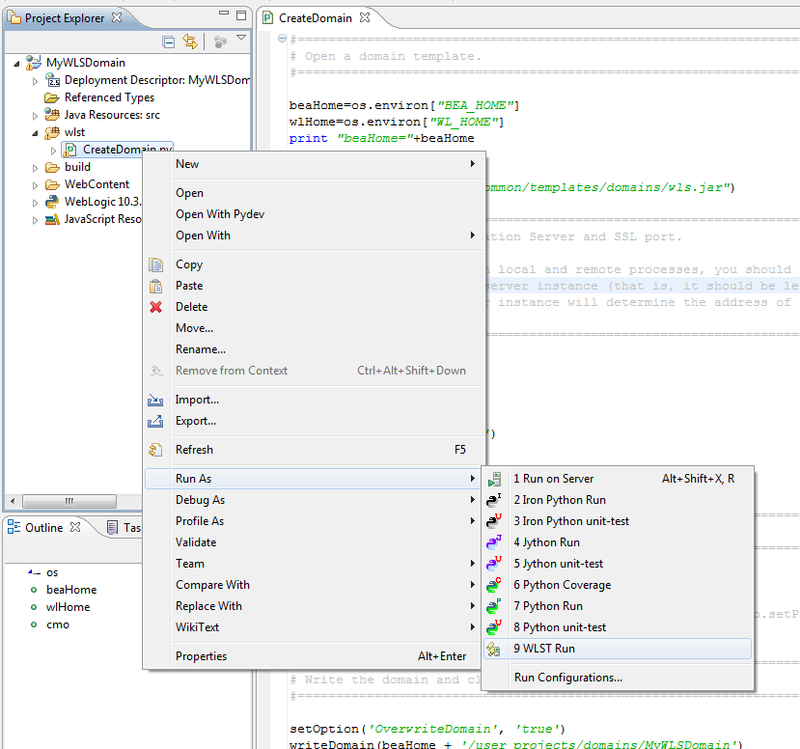 In JDeveloper you can create a new Workspace / Project. 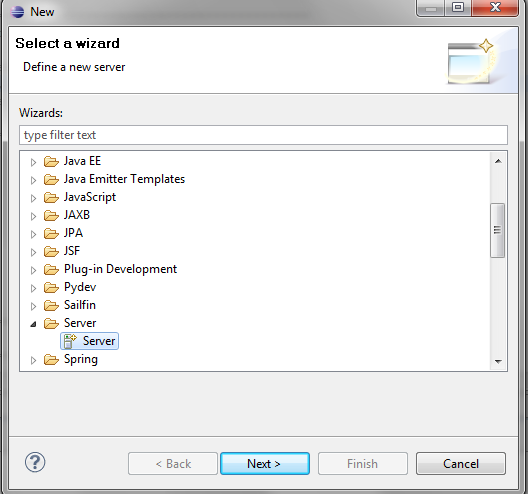 Create a new Java Class which will be our JAX-RPC Web Service class. 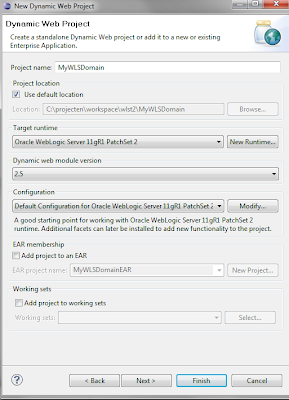 Here you need to add the WLJmsTransport Annotation with the queue and connectionFactory attribute. You can't use the forward slash in the JDNI name so replace this with a dot. The rest is like a normal Web Service in JAX-WS or JAX-RPC. 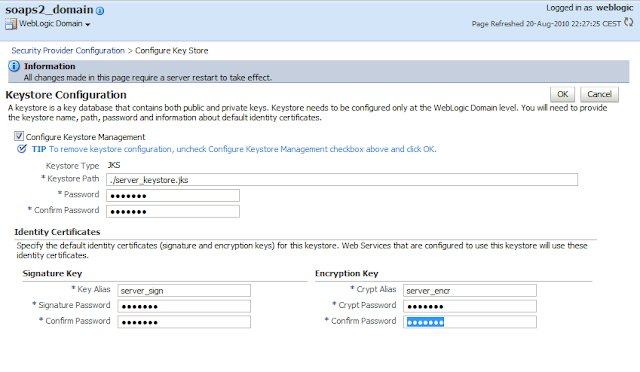 Next step is to deploy this to the WebLogic Server. You need to do this with ANT. 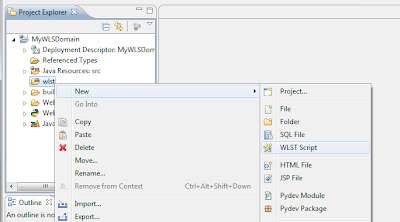 Add an empty build file to your project and the Weblogic jar to the ANT classpath. 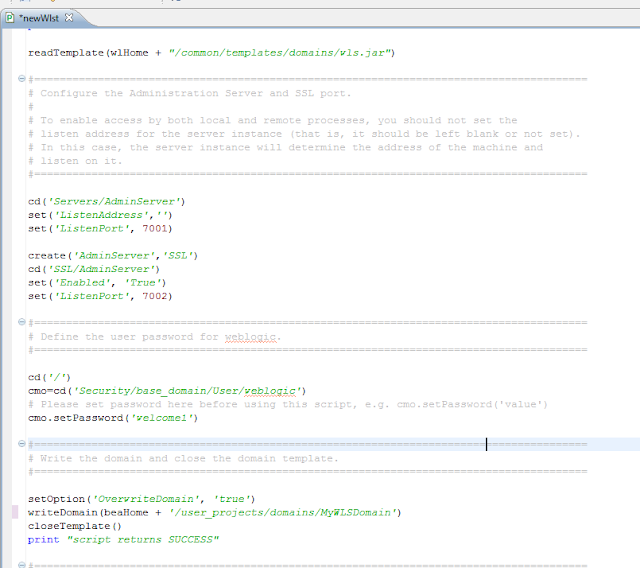 Open the build.xml and add the following. 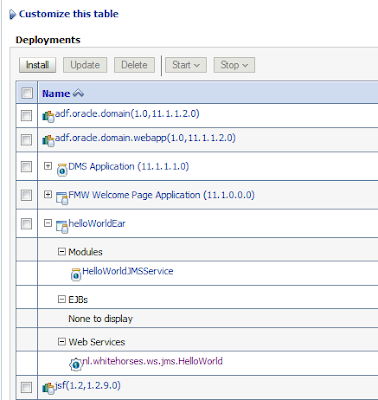 First step is to make an deployment with the JAXRPC option. 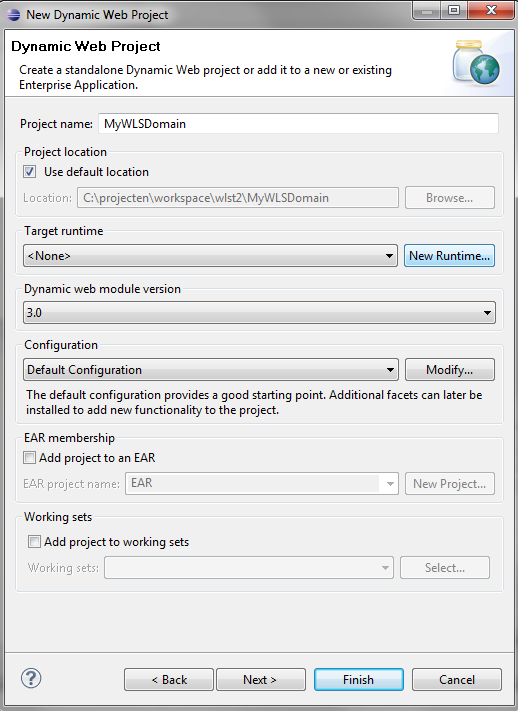 Run the build-service target. After that you can run the deploy target. 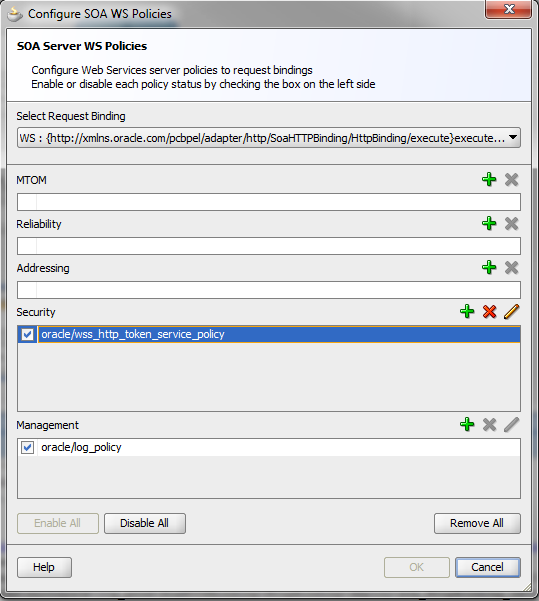 If everything went well, you can go to the WebLogic deployments. Select the Web Service and go to the Testing Tab. 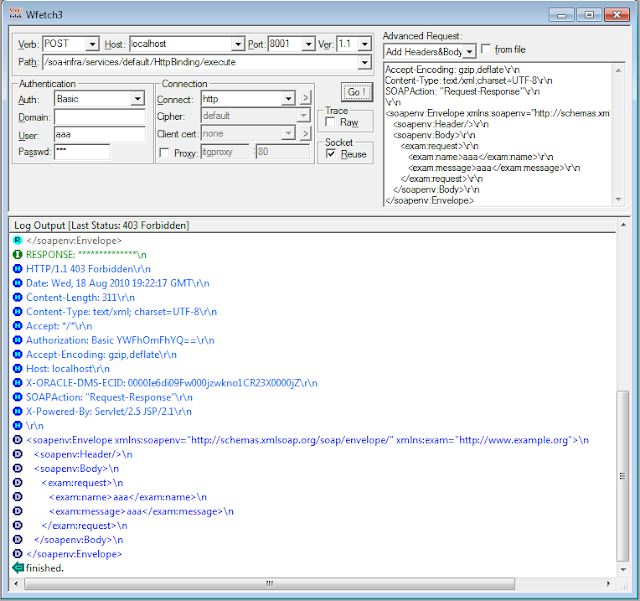 You can't test this Web Service with this Test Client. 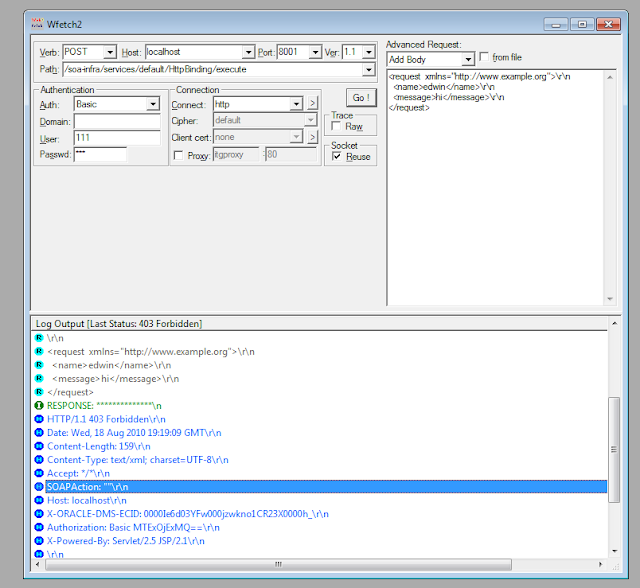 Select the WSDL hyperlink and take a look at the endpoint. 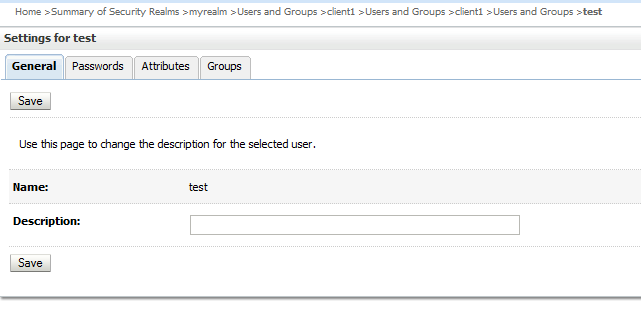 The last part is to test this Web Service. 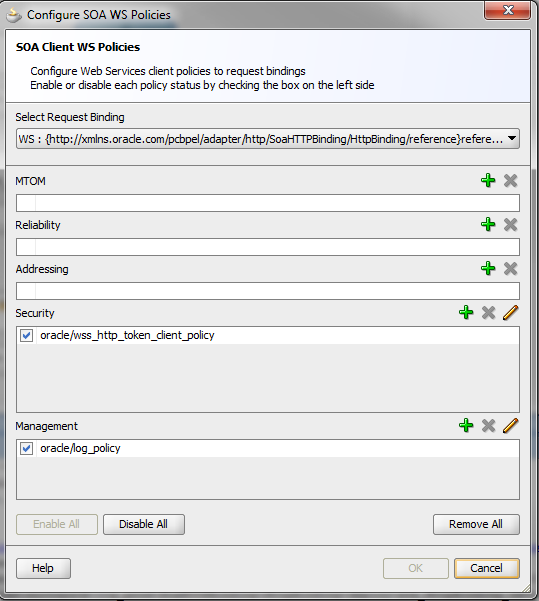 For this you need to generate a Web Service Proxy client. 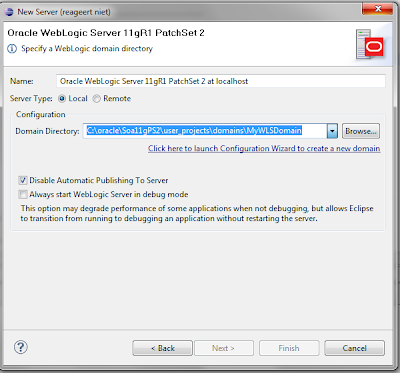 Run the client target in ANT. 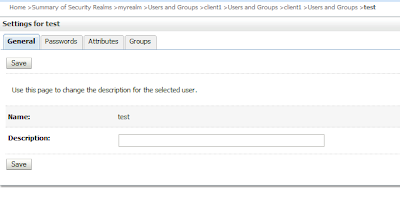 After that you can make your own TestClient where you will be using these client classes. 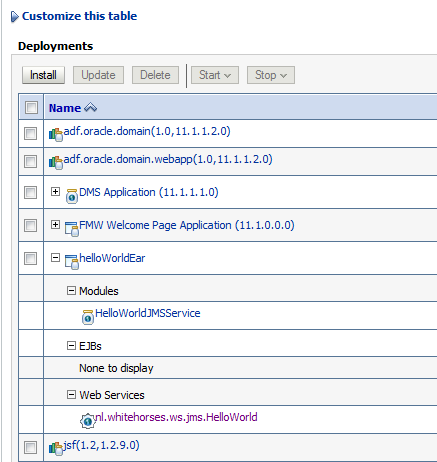 Here you can download my JDeveloper 11g Workspace. When you want to use both one for SOAP/HTTP and also for SOAP/JMS you need to define a port for each communication protocol and it need to have its own service. 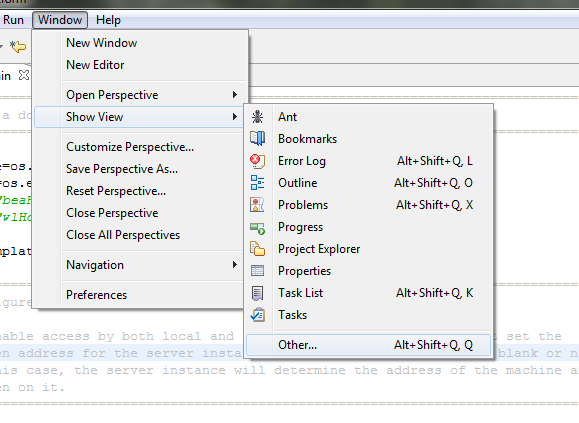 you can use the following logging options. 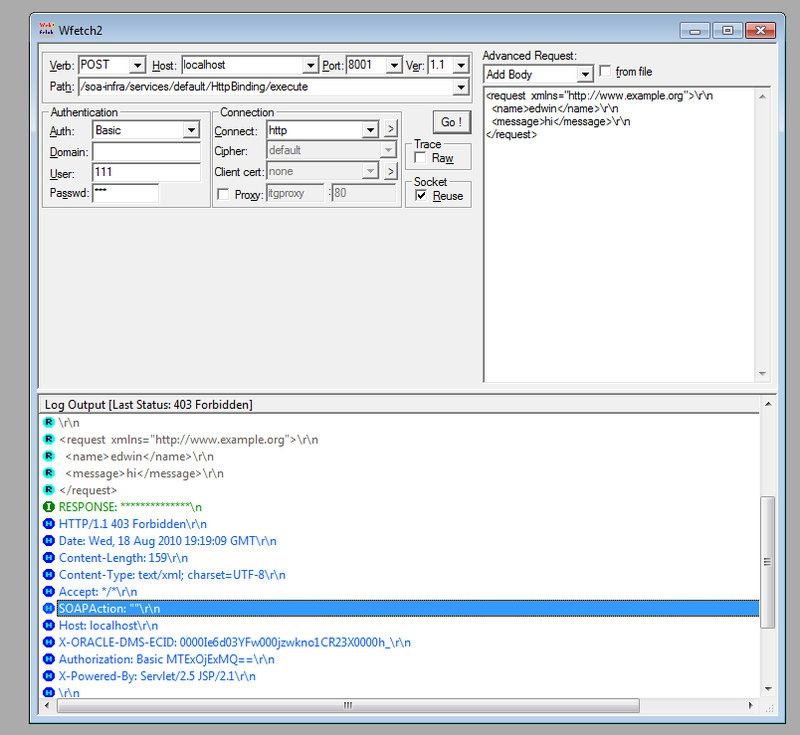 This shows which JMS listeners are instantiated and on which ports they are listening.